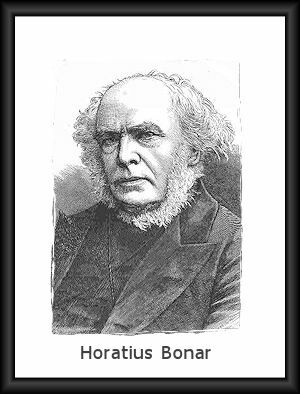 Horatius Bonar (1808-1889) was an Scottish hymn writer, poet, and preacher who wrote over 600 hymns including "I Heard the Voice of Jesus Say" and "Hallelujah for the Cross." Horatius Bonar, 1808-1889. Short biography.